In lieu of flowers memorial donations may be made to Pleasant Springs Cemetery and left at the funeral home. John Charles Moore, 85, of rural El Dorado Springs, Missouri, passed away on November 5, 2016, with his wife and family at his side at the Community Springs Healthcare Facility after a short but severe illness. John was born April 5, 1931, to Alfred Lee and Katie Barbara (Roberts) Moore in Roscoe, Missouri. At the age of 18, John was saved and baptized at Pleasant Springs Missionary Baptist Church. He attended and remained an active member of Pleasant Springs for the rest of his life. During the Korean War, John was called to serve his country. While in the Army, he became a military policeman and was stationed in Tokyo, Japan. 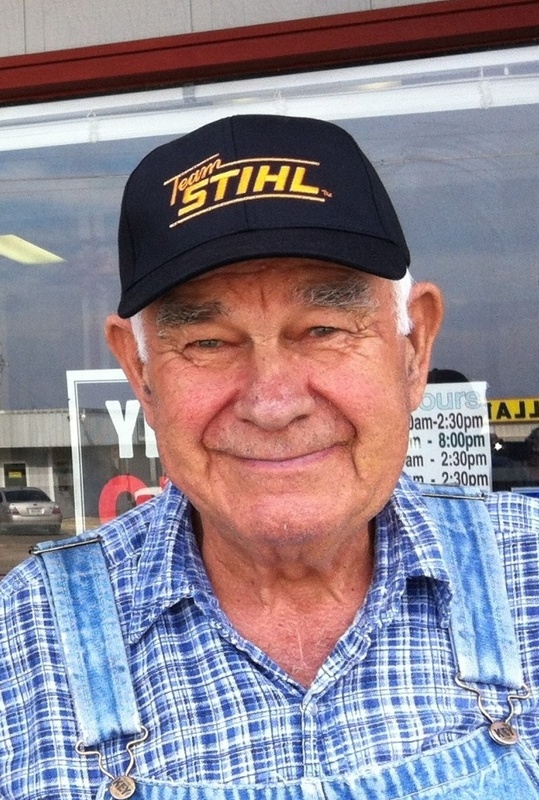 After his service, John returned to St. Clair and Cedar Counties where he enjoyed being his own boss and farming for the next 62 years. John was a good man, a hard worker, and was liked by just about everyone he met. He always seemed to have a twinkle in his eye, a grin on his face, and a story or two to share with his many friends and loved ones. John was preceded in death by his parents; his brothers: Jesse, Claude, and Melvin Moore; two of his sisters, Dorothy Case and Thelma Rhoten; his step-son Randy Melton; and Randy’s wife, Nancy. John is survived by his loving wife of 37 years, Dolly (Jennings) Melton Moore; 3 children: Elizabeth Kay Leek and husband Bill of Olathe, Kansas, Faye Koger and husband Rocky of El Dorado Springs, and John Moore II and wife Dulce of Republic, Missouri; 11 grandchildren: Amy (Dave) Werner, Matt (Janee) Lawler, Brett (Ashley) Koger, Jason Koger, Kristen (Scott) Casey, Jessica (Chris) Woolridge, Sarah Moore, Nicole (Matt) Collar, Erin (Brennan) McNabb, Scott (Tammy) Melton, and Dale (Sheryl) Melton; 16 great-grandchildren: Carson, Chloe, and Ella Kate Koger, Abigail and Isabel Casey, Brandon, Hailey, Rachel, Hunter, and Lucas Woolridge, Jackson Collar, Megan (Austin) Hunter, Mallory and Makenzie Melton, and Dylan and Devin Melton; two sisters, Mary Faddis of Tulsa, Oklahoma, and Marie Foreman and husband Rick of Lumberton, North Carolina; and one sister-in-law, Carol Moore of Chehalis, Washington. He is also survived by a great number of cousins, nieces, and nephews. Funeral services for John Moore were held on Wednesday, November 9, 2016, at 10:00 a.m. at Pleasant Springs Missionary Baptist Church. Bro. Everett Smith officiated and the church members provided music. Burial followed in Pleasant Springs Cemetery under the direction of Bland-Hackleman Funeral Home. Pallbearers were: Matt Lawler, Brett Koger, Jason Koger, Scott Casey, Matt Henderson and Mike Mann. Honorary pallbearers were: Clarence Hackleman and Clifton Dawson.